"Author John Problem has a healthily irreverent attitude to the government and a very funny way of writing about "The Prime Minister and Nick". The opening of the book explains what Jason Bryggs' new job is: to sell off whatever national assets he can in order to reduce the National Debt. Some of the characters are a bit far-fetched but usually very amusing; at times this book is laugh aloud funny. The writing style is sharp and pithy and moves along at a cracking pace. I read it in a couple of sittings and thoroughly enjoyed it. 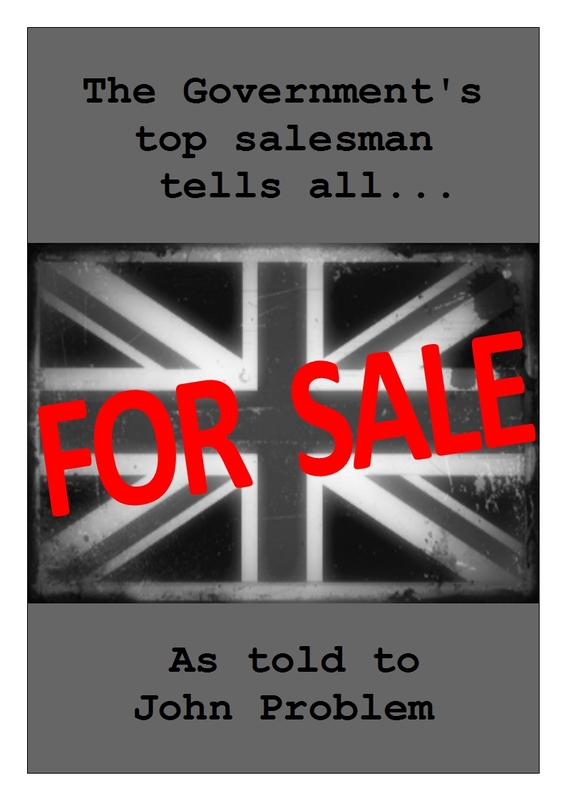 Light hearted and entertaining but with overtones of seriousness, The Government's Top Salesman is well worth a look. Laugh-out -loud - and timely! Very creative,good British humour,wide ranging display of culture , much travelled.I particularly enjoyed the hero Jason Bryggs's visits to Paris and Prague, a joy. A formidable piece of incisive and entertaining satire. The hero (Jason) is just right for the subject - cynical but light; worldly wise but self preoccupied. I love the overall style, the educated and informed easy flow of the intelligent dialogue, and the 007 atmosphere, created beautifully. The characters are nicely drawn, likeable, colourful and credible - and Jason particularly provides so much corroborative detail that I find him thoroughly convincing. 007 for the 21st century. John Problem wants watching! The ladies too are real characters, rather than cameos, and they carefully and cunningly avoid the "Leaping into bed " alley, so predictable and tedious in the more narcissistic variants of the genre."